To collect and analyze clinical data for Cardiothoracic Surgery Department which includes CABG Clinical Pathway and Cardiothoracic CT Registry Database etc. To audit Patient Medical Record (PMR) and database entry for completeness. 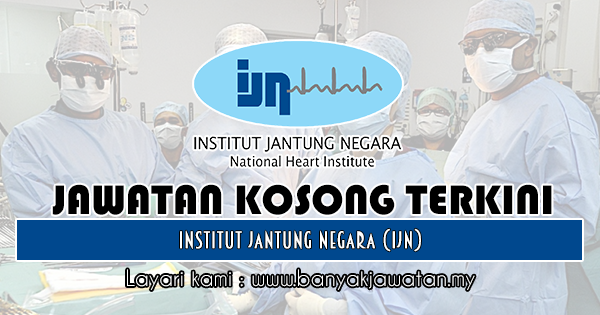 Assist Surgeon in peri-operative, intra operative and post-operative management of patient in Cardiothoracic Surgery. Assist surgeon to ensure physical assessment, history taking and required clinical investigations are complete and available for review. 0 Response to "Jawatan Kosong di Institut Jantung Negara (IJN) - 6 Februari 2019"